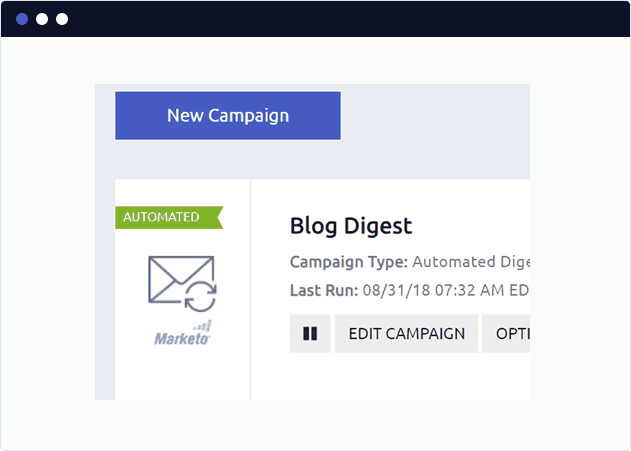 Send amazing, responsive blog digest emails directly from your existing marketing automation software. More than 20 responsive blog digest email templates are a click away. We built our own image engine to ensure your images always appear, look great, and are sized consistently. No other blog digest software is as advanced. Send your blog posts to co-workings, sales teams, investors, prospects and leads. 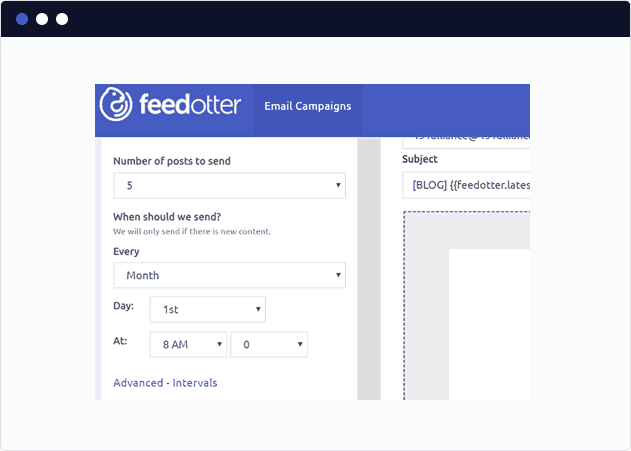 To create a new blog digest with FeedOtter create a new automated campaign in FeedOtter. 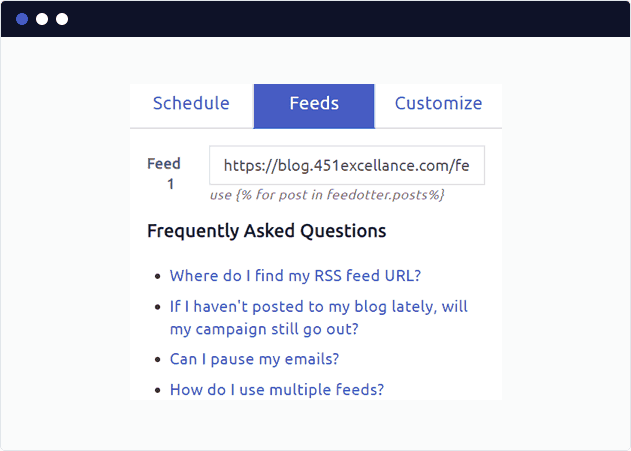 In the next step you will setup when and how often FeedOtter creates and schedules your blog digest. Content for your blog digest comes from an RSS feed. This is a very common, structured format for blog data. Most CMS systems including WordPress have these feeds by default. 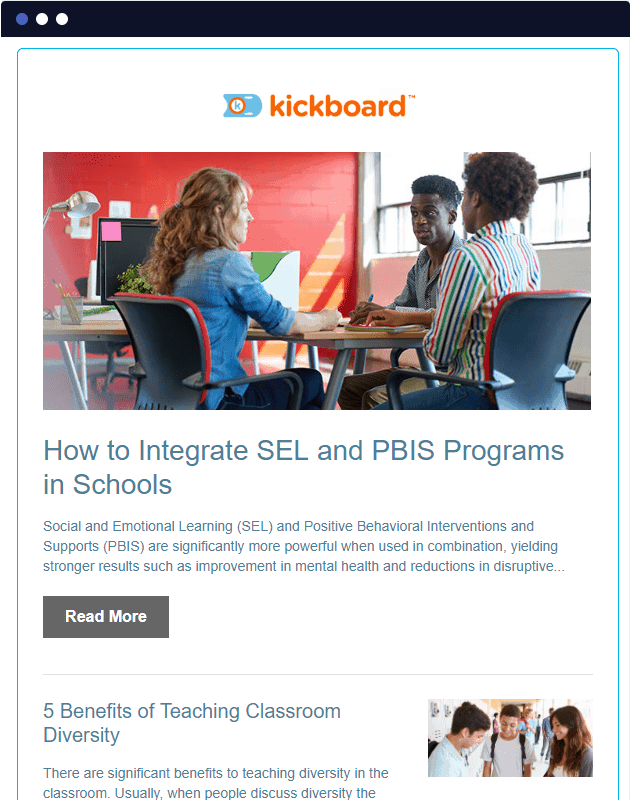 In the Plus and Advanced pricing tiers you can add multiple RSS feeds to create sections in your blog digest email. 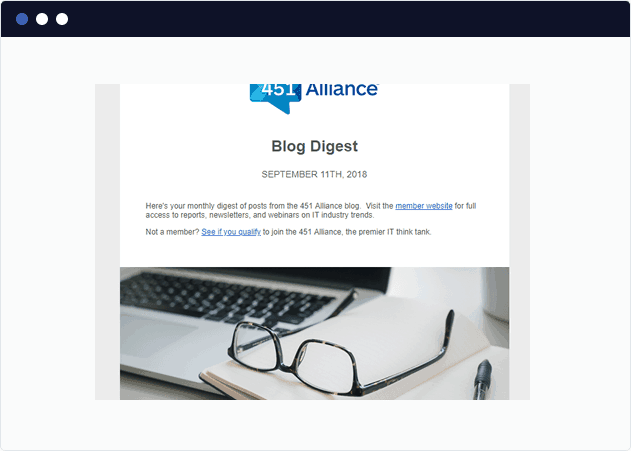 Creating a blog digest email that looks great and displays perfectly in your lead’s inbox can be daunting. 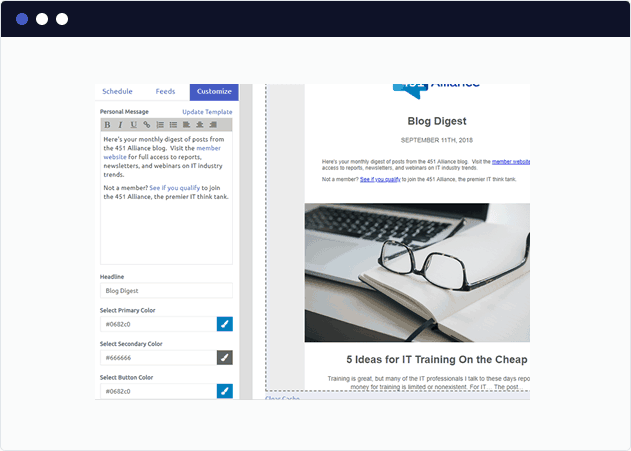 That’s why our team has spent sleepless nights creating perfect, responsive, Litmus-tested blog digest email templates that are easy to customize or ready to use out of the box. FeedOtter is integrated into all the top ESP and marketing automation products. Every blog digest is sent from your existing ESP so all opens, clicks, engagement, and unsubscribes are reported perfectly in one system.